James Marais and Monique Cassells are well known for their rock and roll, 'A Trip Down Memory Lane' shows. They pay tribute to ledgends such as The Beatles, Elvis Presley, Jerry Lee Lewis, Gene Vincent, Eddie Cochran, Cliff Richard, Queen, Roy Orbison, Creedence Clearwater Revival, Bill Haley, Little Richard, Chuck Berry, Mick Jagger, Shakin Stevens, Buddy Holly, The Eagles and many more. Fantastic upmarket venue with LIVE music! Ticket includes entry & delicious snacks. A cash bar is available. All proceeds go towards SPCA Uitenhage. Cost: R90.00 includes a ticket and delicious meal from Deli-on-Main. Menu includes: welcome drink, breads & pate's, Le'Pasta Buffet, Carrot Cake and Tea/Coffee. A car bar is available. Cost: R150 p/p. RSVP before 14 April 2014 to Karen no 076 766 8482 or Dorette on 072 694 9758. Bring the whole family for a night of fun - all in aid of a wonderful cause! Please bring: your own deck chairs, blankets, cushions etc. You are also welcome to bring your own picnic basket. Delicious food, snacks and drinks will also be on sale. In aid of International Sterilization Month! For enquiries, please contact Elinda on 084 565 3039. Cash bar and scrumptuous meals available. Fantastic lucky draw prizes on offer!. For enquiries please contact Leoni on 082 424 4925. In aid of SPCA UITENHAGE and CATCARE. COME AND JOIN US FOR A 4KM FUN FILLED WALK WITH YOUR DOG AT THE UITENHAGE AIRPORT. LOTS OF PRIZES TO BE WON!!!! Live Bands! - Day Trippers, Dark Custard, Caravan, Poltergeist, Yet Again, Solo & Duo Acts & Bands from the 60's and 70's! 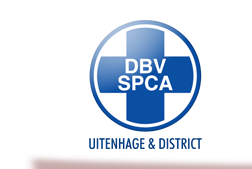 In aid of Uitenhage SPCA. R50.00 per ticket. Contact Linda on 082 470 3026 or the Golf Club on 041 966 1868. Email info@fusioncc.co.za to reserve your tickets. Food & beverages available at the Golf Club. Powered by Fusion Cyber Cafe. Martin Nefdt cycling to support SPCA Uitenhage. South Africa’s second oldest national classic takes place in and around Nelson Mandela Bay and the 29th edition is all set to roll out from January 31 to February 2, 2014. Professionals and amateurs traditionally battle it out from the wild side of Port Elizabeth to the wild trails of Addo. All dog breeds are welcome! South African Pit Pride Walk is a national campaign aimed to educate the public about the breed and take a stand against animal abuse and dog fighting! By uniting we can make a real change! Click here to view the events from 2013.